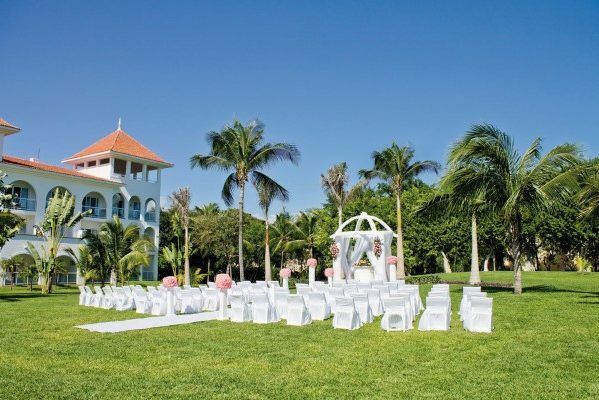 RIU Palace Mexico sets the stage for a beautiful and extravagant destination wedding. This gorgeous hotel’s architecture is inspired by the traditional style of Mexican estates, the decor is made up of hand-painted murals, and it sits beachfront on the Caribbean Sea surrounded by lush gardens. 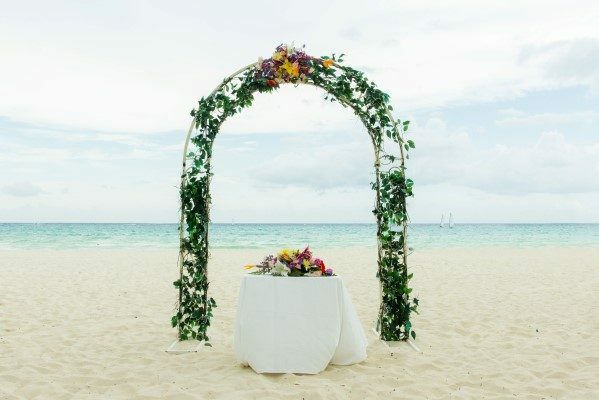 Let one of the most beautiful beaches in all of the world be the backdrop to your wedding, or have your ceremony in the romantic Spanish style chapel. Explore the nearby pyramids and ruins of the Mayans and other national parks in the area as well during your destination wedding. 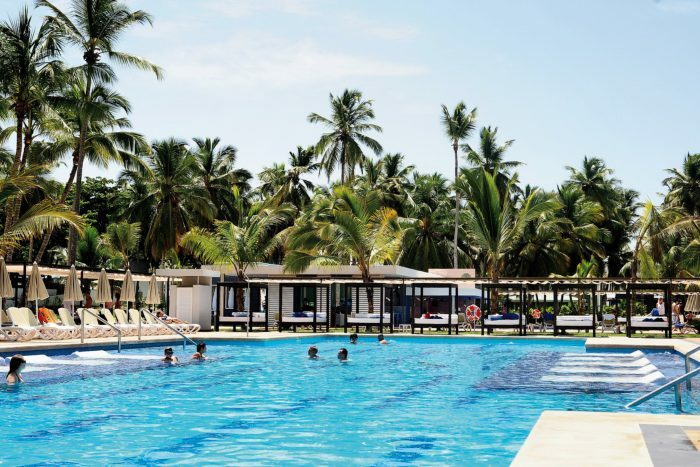 Access all bars at the RIU hotels in Playacar, including free entrance to “La Piata” nightclub at a nearby sister resort. The hotel includes two freshwater swimming pools surrounded by a vast park, a Jacuzzi, a solarium-terrace. Beach – 100 guests max, Garden – 100 guests max, Chapel – 24 guests max. Rooms range from $150 – $230 per person per night. Every room includes wifi, a split-level living room area with two steps, and a minibar and a liquor dispenser. Children ages 2 and younger stay free. There are 434 total guest rooms with views of the courtyard or ocean. Buildings on the resort are 3 stories high, and everything is within walking distance. Handicap accessible rooms are available upon request. Hotel RIU Palace Mexico is located about 34 miles from the CUN airport. 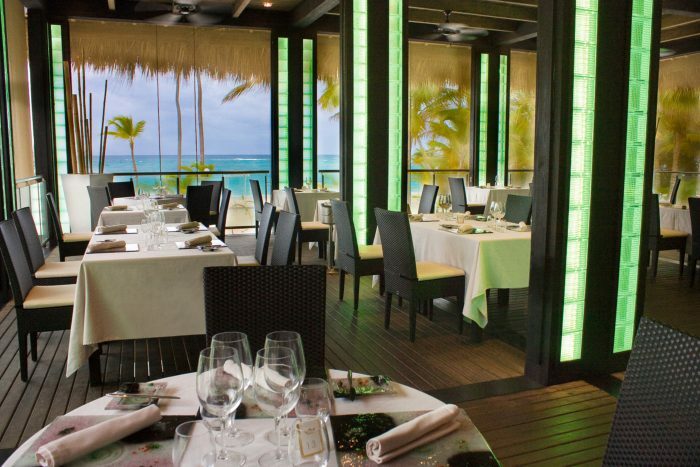 The resort is located 5 minutes from downtown Playa Del Carmen. There are 434 total guest rooms with views of the courtyard or ocean. Buildings on the resort are 3 stories high, and everything is within walking distance. Handicap accessible rooms are available upon request. 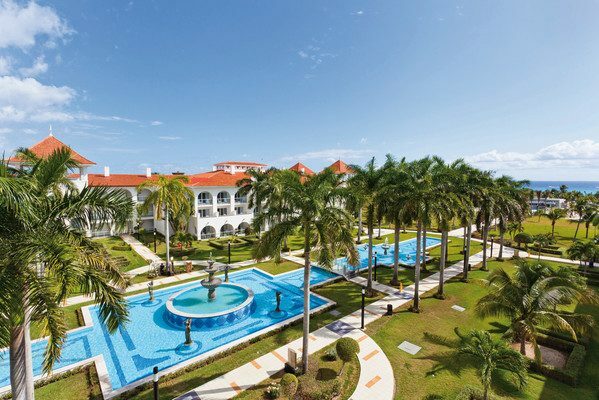 RIU Palace Mexico shares exchange privileges with nearby RIU resorts. Hotel RIU Palace Mexico is located 34 miles from the CUN airport. The resort is located 5 minutes from downtown Playa Del Carmen. A: My favourite part of a destination wedding is that the couple and all of their guests enjoy being in a different place than their own country to have the special day and share it. I can see they are enchanted by the color of the water, or even if they like the garden more. 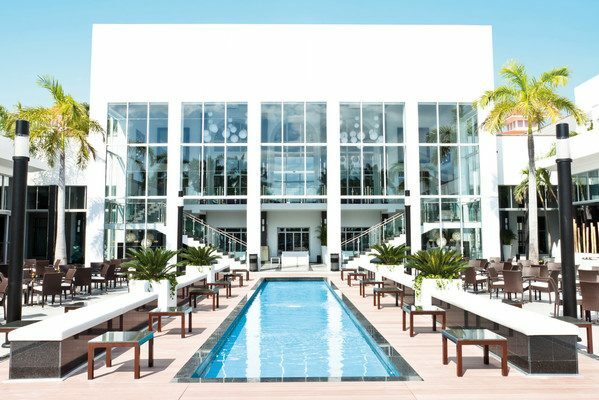 Q: What makes RIU Palace Maxico a great place for a destination wedding? 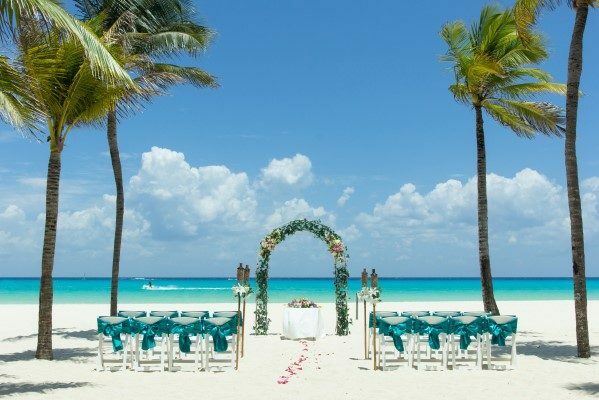 Q: What do brides usually compliment about RIU Palace Mexico?